Gone are the days of the Valley of Heart’s Delight, where rich farmland decorated what is now Silicon Valley. But throughout this evolution, there is at least one thing that never changed; the customer service at Peters’ Bakery in East San Jose. The bakery is celebrating 75 years in business today. Phyllis Bua has been going to Peters’ since 1958. “What keeps me coming back? It’s the bakery. It's good stuff,” said Bua. Tony Peters first opened shop in 1936 on Delmas Avenue and San Carlos Street. The next decade, he moved to Alum Rock Avenue and he never left. And that includes the decorations crew. They have more than 100 years of service among them. Denise Faria has been decorating cakes for 33 years, and her mother worked at Peters’ in 1945. Next to Denise is another decorator, Denise Forty. She’s been at Peters' for another 32 years. On it’s diamond anniversary, Peters' gave all customers a complimentary cupcake. It was a surprise to one customer in her 50s who didn’t want to give her name. But the customer remembers her sister spoiling her every week with a treat from Peters’ Bakery. “She would come here twice a week and buy the banana pie, and oh, that was a big treat for me,” she said. 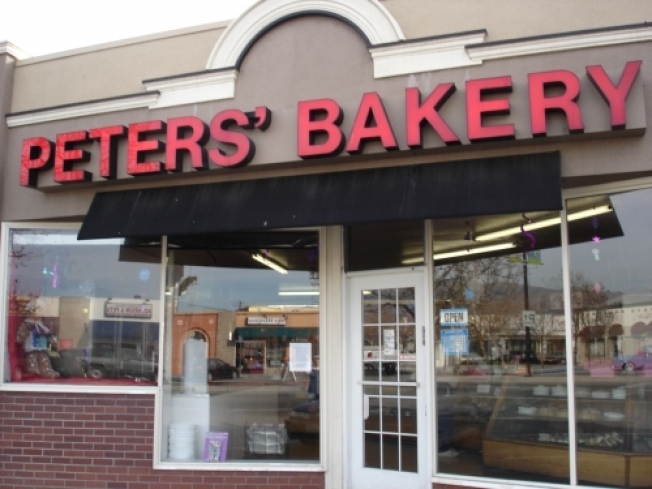 Peters’ Bakery has been a big treat for the generations of customers who walked through their doors. It survived at least three recessions, and numerous other waves of economic uncertainty. It’s why grandparents and grandchildren alike can all tell stories about their first bite into Peters' trademark, the Burnt Almond cake. Ryan Menzel, who’s only a few months old, didn’t wait to get home to have his first bite of burnt almond. He ate his free cupcake outside the bakery in his mother’s arms.